I believe in making our lives easier. Sometimes we just don’t have the time to cook and prepare meals. Things come up like sick kids, dogs, business meetings, and a million other things. 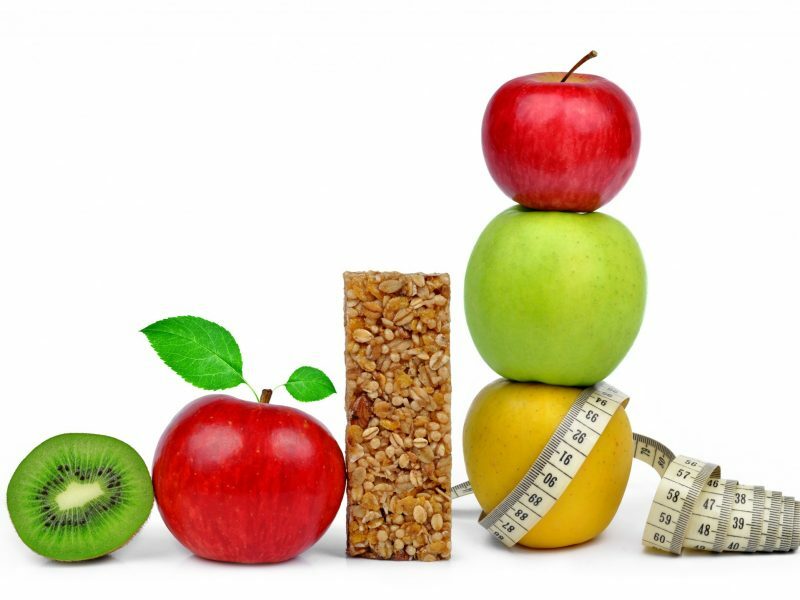 Being prepared is KEY to keeping you on your road of health and wellness. Being hungry and having our blood sugar drop down low is going to signal a quick “food fix”. You know what I am talking about: a candy bar, drive through window, or even a few bags of chips. You are so hungry you eat whatever you can get your hands on. 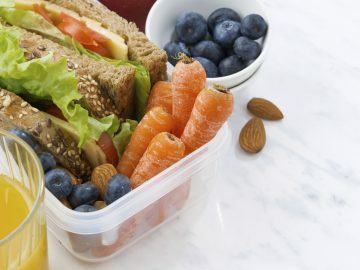 I want you guys to make sure you are eating throughout the day and not getting to that point. A great thing I suggest is being prepared with a high quality, healthy protein bars to keep you satisfied. I don’t want you living on protein bars. 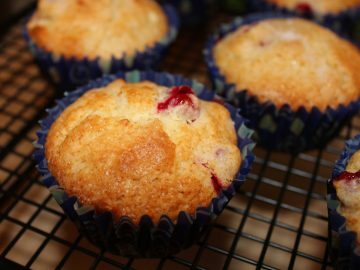 They are there as a quick snack or when you just have to have something quickly. These are what I call “Grab and Go”. They are portion sized, prepackaged, and ready for you when you need them. Most protein bars out there are filled with so many things we can’t even pronounce and should not be eating. Soy, high fructose corn syrup, artificial colors and flavors, and who knows what else. Not to mention loads of addicting SUGAR. Below are some of my favorite bars that I always have on hand, and here’s a recipe for homemade healthy protein bars I make myself. 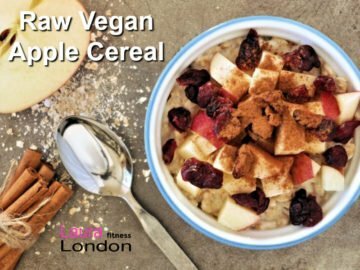 They are all low in sugar, made from natural ingredients, and nutrient dense. 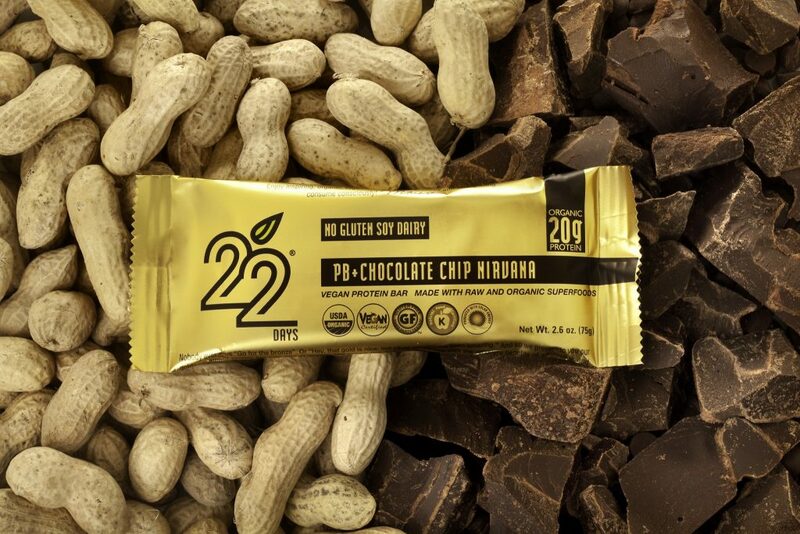 It takes 22 days to make or break a habit, and with 22 Days Nutrition Protein Bars you found the way. Good for: pre and post-workout / meal replacement. USDA ORGANIC, NON-GMO MADE WITH ORGANIC SUPERFOODS, PLANT-BASED / VEGAN, GLUTEN-FREE, FORMULATED FOR FUNCTION. As a vegan, world-renowned exercise physiologist Marco Borges was always in search of the perfect nutrition for optimum wellness. He found that the options were limited to provide his clients with the types of foods they needed to perform at their best. 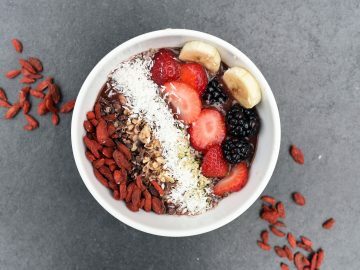 Unwilling to settle for what was available on the market, Marco sought out to formulate nutrition-packed vegan options for people who are trying to transform their lives, bodies, and habits. I love, love, love the Raw Crunch Bar. They are handmade, uncooked, unprocessed energy bars. 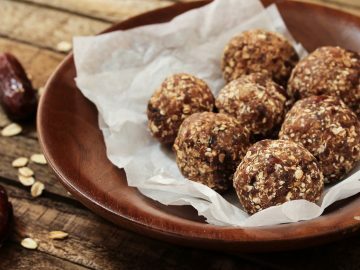 They are super low in sugar, made with nuts, seeds, and some superfoods. 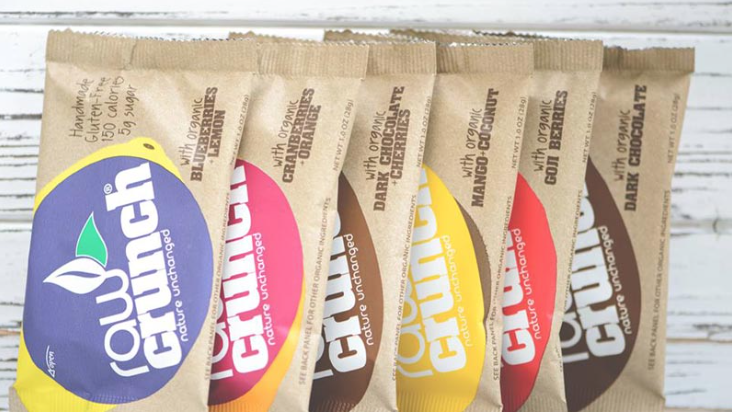 Raw Crunch Bars are dehydrated rather than cooked in order to maintain their original concentrated nutrients, enzymes, and potent antioxidants. The Raw Crunch Bar comes in four flavors: Cranberry, Blueberry, Goji Berry, and Chocolate (my favorite). 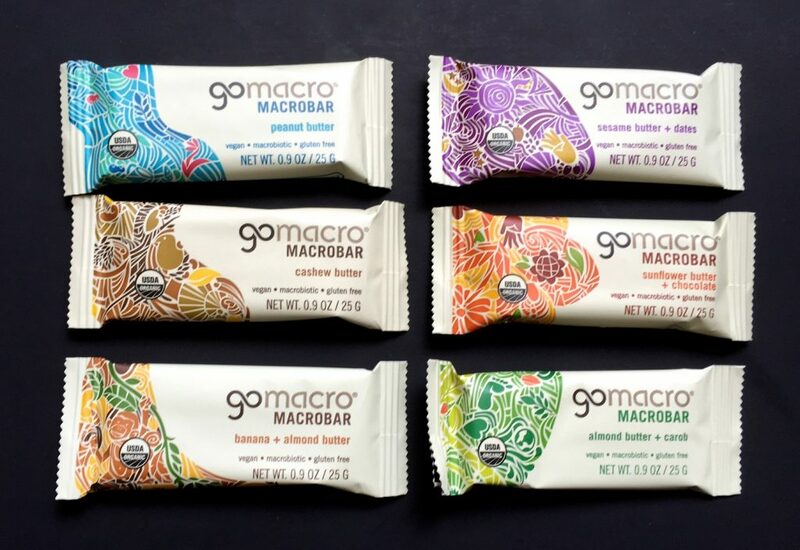 GoMacro Bar is a family-owned company, that puts their heart and soul into a natural whole-foods base lifestyle. When Jola was diagnosed with breast cancer the family farm was a haven place of recover and converted to a macrobiotic diet. Today she is raising 4 healthy children and a healthy business. I know you will love the GoMacro Bar as much as I do! If you need a quick snack with a clean and delicious source of protein, Squarebar has you covered. They are a new company out of Northern California and are the first company to launch their product already Non-GMO Project Verified. They have three flavors to choose from that are all around 200 calories and pack 12g of plant protein sourced from brown rice protein. All of their bars are vegan, certified organic, non-GMO, certified gluten-free and soy free. My favorite flavor is the Cacao Crunch because I love their delicious combination of chocolate and coconut. 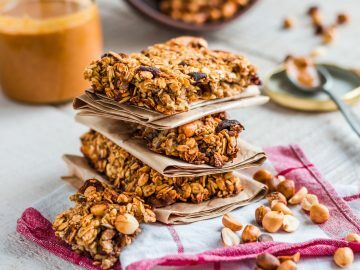 Their bars are perfect for a late morning or afternoon snack to tide you over until your next meal and you can create fun recipes using the bars too!